[Via Satellite 07-15-2014] SpaceX has completed the long-awaited launch of Orbcomm’s first batch of second-generation satellites. 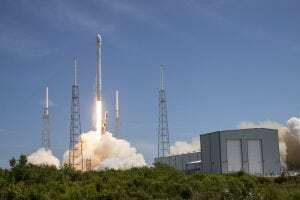 After repeated delays, the launch took place from Cape Canaveral Air Force station using a Falcon 9 rocket. Orbcomm, a Machine-to-Machine (M2M) satellite company, is using the satellites to fill a hole in its existing constellation, OG1 where some satellites drifted out of their original locations. The new OG2 satellites have, along with other improvements, a much greater amount of propellant storage to prevent the same situation from reoccurring. The OG2 satellites are currently passing through In-Orbit Testing (IOT) to assess the status of all subsystems. Orbcomm expects the satellites to begin full commercial service in the next 60 days. The company said the remaining 11 OG2 satellites could launch by the end of 2014.